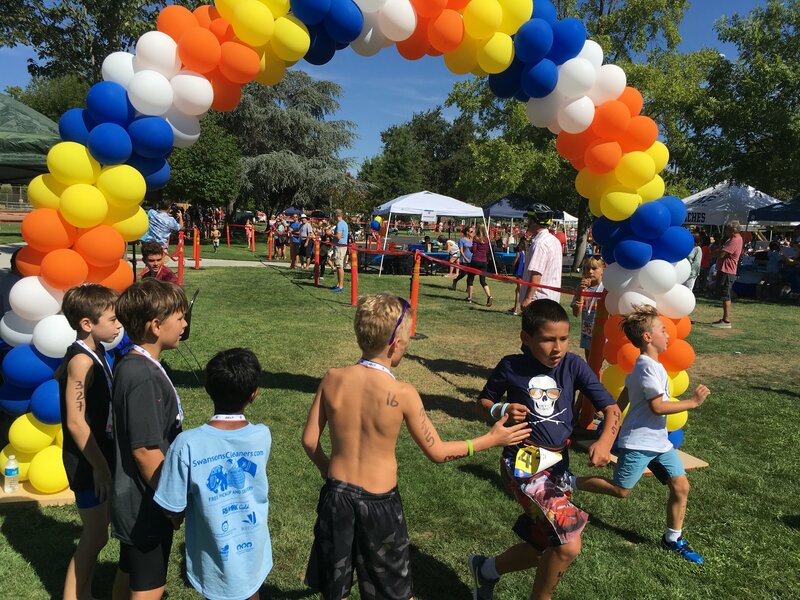 Another fantastic year of the Arden Park Youth Triathlon is in the books. We had perfect weather, great sportsmanship and lots of fun. Right after the event I had a dad email this photo to me thanking us for creating an environment that fosters sportsmanship between the children in our communities. Speaking of community, I think one of the most important things we do on this day is bring children together and introduce them to a community that is kind, generous (both financially and with their time), healthy and active. One of the things my 9-year-old noticed was how many people it takes and how many hours we spend to put the event together. We may not think they are watching, listening, or noticing all the effort we put into all we do, but I think they are. This event takes an incredible amount of people to be safe and successful for our children. 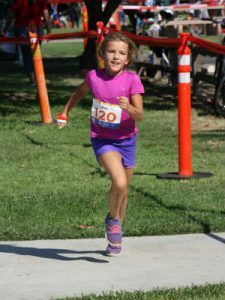 Our volunteer coordinator, for example, spends countless hours positioning volunteers so that the jobs are covered while allowing for parents to watch their son or daughter race. Many of our volunteers don’t even have a child racing or are on the swim team! They just show up out of the kindness of their hearts. I’d like to send a huge shout out to all of the high school volunteers that manned the course in so many areas! You are amazing! We couldn’t have done it without you. I think everyone loved the fun zone this year! Having a safe and fun area to wait for your waves was a great way to pass the time. Thank you to all of the volunteers that worked hard in that area all day! As we continue to grow and identify the best way to do all of the jobs that go into this day, we welcome your suggestions and feedback. Please feel free to email them to us (ardenparktriathlon@gmail.com)! We have come to a point with the race that the original team that has put this event on for the last 6 years is ready to hand off to a new team of people who love this community, love this sport, and who enjoy seeing children achieve great things. 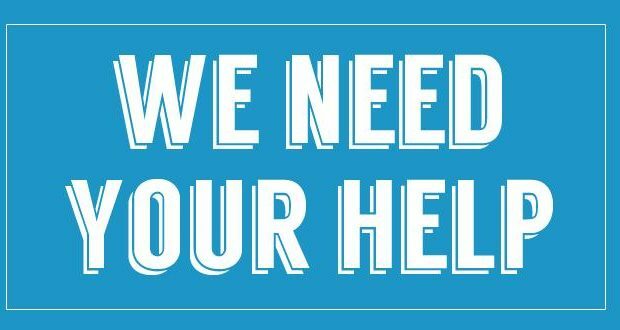 We are seeking a committee team of both key volunteer positions (such as Bike Course Coordinator, Transition Area Coordinator, etc.) and for members on our base committee. If we do not fill these spots, we may not be able to continue this wonderful event! If you have any interest in becoming part of our team, please email me at ardenparktriathlon@gmail.com. Finally, I’d like to close with a heartfelt thank you to the outstanding team of people I’ve gotten to work with all year! Don Fonseca, Ron and Amy Salvatori, Tori Medeiros, Amy Halloran, Casey Martin, and Merry Iseley, you are all an inspiration to the rest of us. We are incredibly lucky that there are people like you in our community to bring us together. This year’s Arden Park Youth Triathlon was another huge success! It’s always exciting to see the participants who are doing their very first triathlon. The struggle to get everything just right, the parents making sure their child is all set up, the huge smile of pride spread across the faces of both the child and their parents at the finish line! It’s also fun to watch the growth of children who’ve been doing it for years. Watching them get better at transition, strive to do their very best and have the same beautiful smile of accomplishment at the end. My name is Christina Joyce and I’ll be taking on the job of Race Director for the 2017 Arden Park Youth Triathlon. My son, Preston, has done this event for 3 years and is also on the Arden Park Dolphins swim team. My family and I were impressed by this event the first year we participated and it’s been exciting to see it grow! This year brought a new bike course that everyone seemed to approve of. It was safer with fewer laps to keep track of and a physical challenge. I don’t think anyone in the community thought La Sierra had as many hills until we decided to have children ride their bikes on it! But, a challenge can be a good thing and helps us grow as athletes. It was also fun to see the number of families who came out of their houses to cheer on the athletes along the course. Bringing the community together is what it’s all about! We had the addition of the Fun Zone. This was a great distraction for kids waiting for their wave. We are anticipating having that back next year and bringing it a little closer to the action. On behalf of our entire race committee, I’d like to say thank you! Thank you to the families that participate. Seeing the children accomplish this makes all the hard work completely worth every minute. Thank you to our amazing sponsors! Your support of this community is always above and beyond our expectations. Thank you to the Arden Park Recreation and Park District for helping us secure permits, supplying the venue, and helping with all the behind the scenes event maintenance. And last, but not least, thank you to all of the volunteers! Without you, this event wouldn’t be possible! Whether counting laps in swim, setting up, providing safety on the bike course or helping in transition, each person played an integral part in making the day the success that it was. 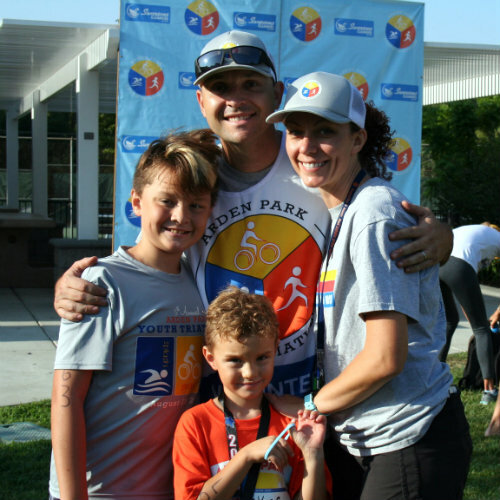 Many thanks to the volunteers and sponsors who helped make the 2015 Arden Park Youth Triathlon a huge success. The race continues to grow in popularity and we are so proud to be a part of it. If you are interested in volunteering next year, please let us know by filling out our online form. To be contacted about the race next year, please sign up for our newsletter. Here is a photo album we’ve created. Please send us (ardenparktriathlon@gmail.com) any photos you’d like to be added to this album.